Description: Heal the sick, advance the science, share the knowledge. The Department of Surgery at Mayo Clinic invites applications for Plastic and Reconstructive Surgeon position. Opportunities are currently available at Jacksonville, FL. The successful candidate must have advanced training or proficiency in the area of microsurgery with expertise in breast reconstruction. 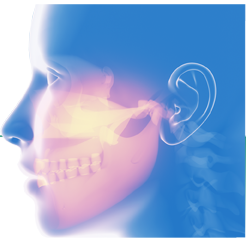 Additional training in head and neck reconstruction and craniofacial procedures is preferred. A strong interest in research and academia is encouraged. Responsibilities include clinical care involving the full spectrum of plastic and reconstructive surgery, as well as clinical or basic science research interests. Applicants should demonstrate a reputation for clinical and academic excellence and be board certified or eligible. Qualified candidates must be Board Eligible or Board Certified (BE/BC) in Plastic and Reconstructive Surgery. Mayo Clinic is ranked No. 1 in the nation by U.S. News and World Report (2017-2018 Best Hospitals). Our multi-disciplinary group practice focuses on providing high quality, compassionate medical care. We are the largest integrated, not-for-profit medical group practice in the world with approximately 3,800 physicians and scientists across all locations working in a unique environment that brings together the best in patient care, groundbreaking research and innovative medical education. Mayo Clinic Health System connects Mayo Clinic's respected expertise with Mayo's community-focused multi-specialty groups in 75 communities. We offer a highly competitive compensation package, which includes exceptional benefits, and have been recognized by FORTUNE magazine as one of the top 100 "Best Companies to Work For". Contact: Apply online and learn more about Mayo Clinic and the vast array of opportunities that await you. ©2017 Mayo Foundation for Medical Education and Research. Post offer/pre-employment drug screening is required. Mayo Clinic is an equal opportunity educator and employer (including veterans and persons with disabilities).